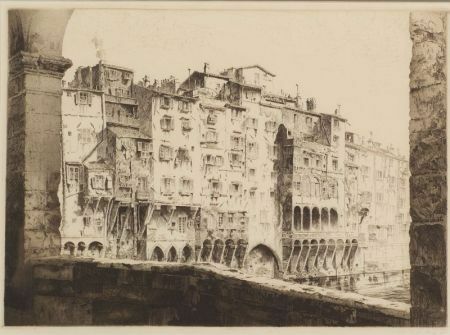 From the Ponte Vecchio, Florence, 1925, second state of two, edition of 150 (Fletcher, 159). 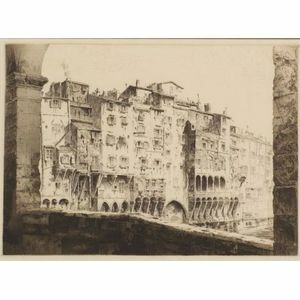 Signed and dated "John Taylor Arms - 1925" in pencil l.r. Etching with aquatint on paper, plate size 11 1/8 x 15 1/4 in. (28.3 x 36.7 cm), framed.